The Language Journal: Spanish edition of Garry Hoyt's "Isla Verde" novel to be released. "Set in the 1960's, this is the story of a compelling attraction between a divorced American Ex-Marine and a Puerto Rican woman of unusual beauty. From bare fisted, bawdy house brawls, to racially tinged sailing escapades in the Virgin Islands, to passionate encounters in Old San Juan, Brad Fichton pursues the scintillating but elusive Mercedes Cordova. While following the twists and turns of this intense love affair, the plot delves incisively into the complex world of Island politics, providing rare insights into the deep seated, emotional ambivalence Puerto Ricans feel over their relationship with the United States. The reader will come away with the pleasure of a rousing tale, plus a new understanding of the simmering nationalism and divided loyalties that fuel the current unrest on this detached and little understood part of America. Cosmetically classified as "The Commonwealth of Puerto Rico"--the island remains essentially an American colony, torn between strong economic dependence on the U.S. and equally strong longings for its own identity. How the main characters struggle to make sense and find love in this tangled, political web makes for an interesting read that will instruct as well as entertain". 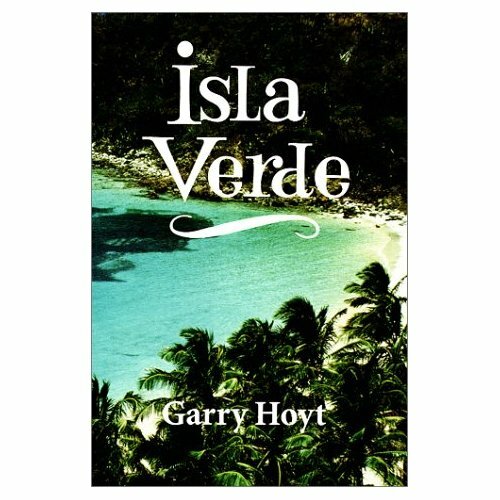 NOTE: "Isla Verde" by Garry Hoyt is translated to Spanish by Day Translations.